When you drop your dock lines and set sail, you're not in Kansas anymore. So, where exactly are you? The Abacos, Exumas, Conception Island, Mayaguana, Long Island, Jamaica, Panama, Galapagos, Nuku Hiva, Fatu Hiva, Hiva Oa, Apataki, Tahiti, Moorea, Raiatea, Taaha, Bora Bora, Samoa, Tonga, Fiji, New Zealand, Australia, Bali, Indonesia, Singapore, Malaysia, Langkawi, Phi Phi Island, Phuket, the Maldives, Oman, Yemen, Eritrea, Sudan, Egypt, Israel, Cyprus, Turkey, Greece, Volcano Island, Mallorca, Menorca, Spain, Gibraltar, Canaries, Cape Verdes, Barbados, St. Vincent, Grenadines, Grenada, Trinidad, Guadeloupe, Martinique, St. Martin, Tortola, Virgin Gorda, St Thomas, and Puerto Rico. That's part of our list. What's on yours? You only get one life, and it would be a shame to spend it all in Kansas. There's a whole world to explore out there. Why don't you make up your own list and go sailing on the ocean of your dreams. Exit Only sits peacefully at anchor behind a deserted island in the southern Red Sea. 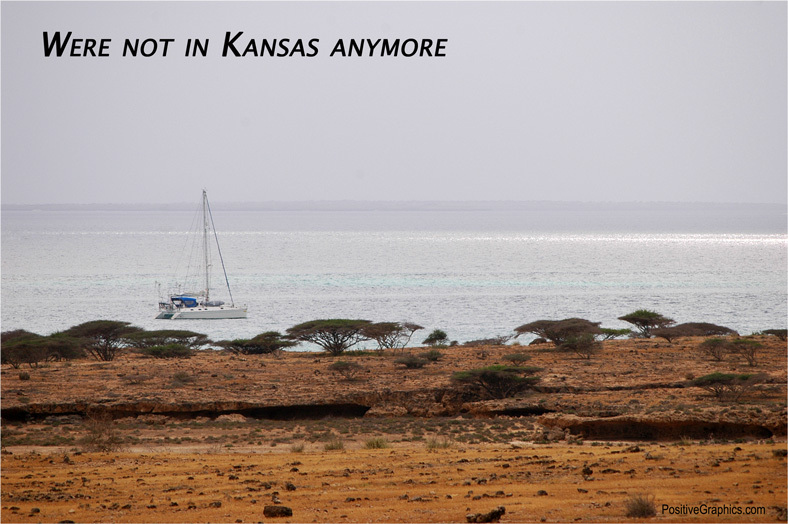 The first week of our Red Sea adventure started with dust storms and overcast skies, and then it got better. 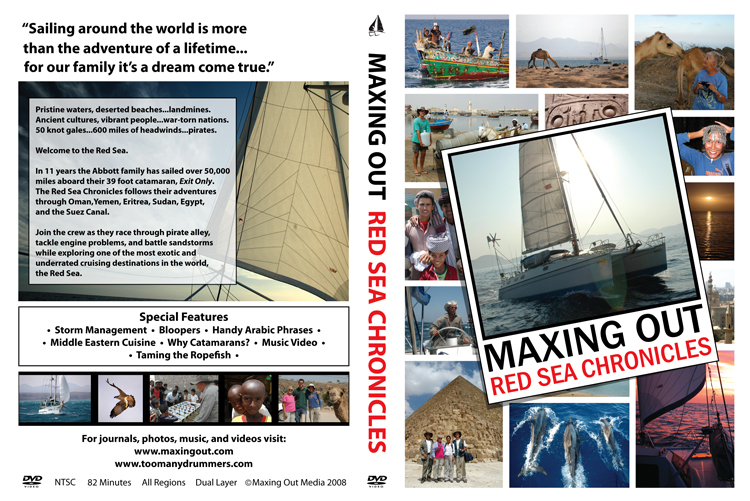 Check out our Red Sea DVD if you want to see what it's like to have a Red Sea Adventure.